Hope Heals By Katherine & Jay Wolf Audiobook Download - Christian audiobooks. Try us free. "When all seems lost, where can hope be found? Katherine and Jay married right after college and sought adventure far from home in Los Angeles, CA. As they pursued their dreams, they planted their lives in the city and in their church community. Their son, James, came along unexpectedly in the fall of 2007, and just 6 months later, everything changed in a moment for this young family. On April 21, 2008, as James slept in the other room, Katherine collapsed, suffering a massive brain stem stroke without warning. Miraculously, Jay came home in time and called for help. Katherine was immediately rushed into micro-brain surgery, though her chance of survival was slim. As the sun rose the next morning, the surgeon proclaimed that Katherine had survived the removal of part of her brain, though her future recovery was completely uncertain. Yet in that moment, there was a spark of hope. Through 40 days on life support in the ICU and nearly 2 years in full-time brain rehab, that spark of hope was fanned into flame. Defying every prognosis, with grit and grace, Katherine and Jay, side by side, struggled to regain a life for Katherine as she re-learned to talk and eat and walk. Returning home with a severely disabled body but a completely renewed purpose, they committed to celebrate this gift of a second chanceby embracing life fully, even though that life looked very different than they could have ever imagined. 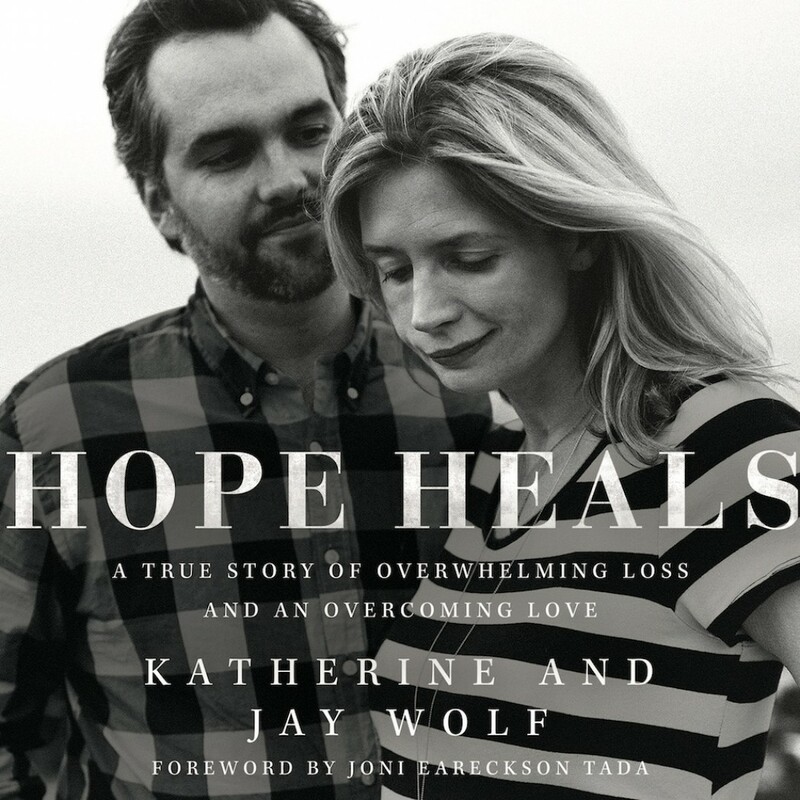 In the midst of continuing hardships and struggles, both in body and mind, Katherine and Jay found what we all long to find...hope, hope that heals the most broken place, our souls. An excruciating yet beautiful road to recovery has led the Wolf family to their new normal, in which almost every moment of life is marked with the scars of that fateful April day in 2008. Now, eight years later, Katherine and Jay are stewarding their story of suffering, restoration, and Christ-centered hope in this broken world through their ministry Hope Heals."